Lumberworx offers a free design service to architects, architectural designers and engineers. This design service provides all the information needed for the consent process and includes a PS1 and layout. To request a consultation with a qualified design team member, simply call 0508 IBEAMS (0508 423 267) or contact us through the 'Ask an Expert' contact form. Lumberworx prides itself on it's product support, and we welcome all queries or information requests. Our Design and Customer Support Team can talk you through the Design & Construction Guides and the detailed Lumberworx Layouts that are provided with our projects. Alternatively, ask your merchant to send your plans to the Lumberworx Design Team for a quote or advice on how we can help. Our friendly, knowledgeable teams looks forward to working alongside you on your next project. The LIB Construction Details are available for download in four formats commonly used in the industry (pdf/jpeg/dwg/dxf). If you have any questions about these details please contact the team. The timber treatment bulletin outlines how the Lumberworx products comply with the building codes and also the NZS3640 amendment. The Lumberworx LIB88s Design and Construction Guide contains all the information needed to install and specify the Lumberworx I-Beam. Span tables and construction details are available to download on the website. 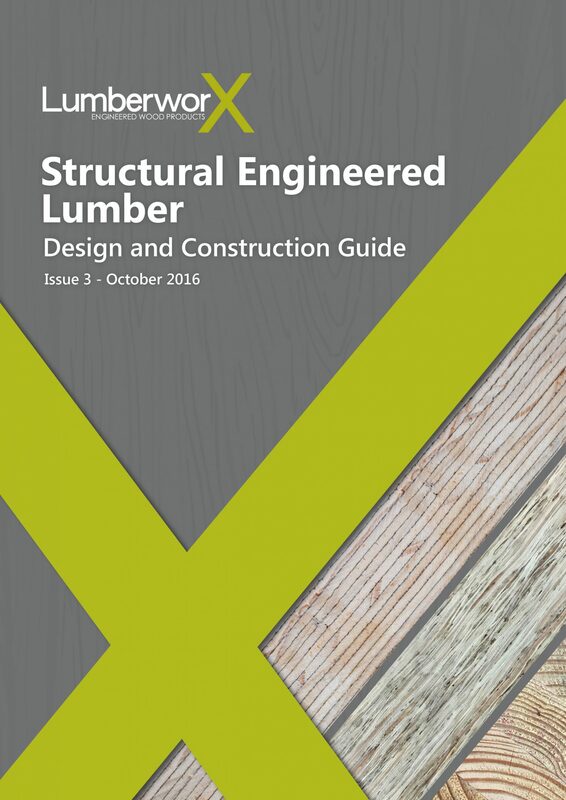 The Lumberworx Structural Engineered Lumber Design and Construction Guide contains all the information needed to install and specify the solid engineered timber range. This includes LVL, LSL and Glulam.